The Restored Burlington Northern Depot & World War II Memorial Museum, RED OAK, Iowa. Information, Photos and Reviews. HONOR & DISSEMINATE the knowledge of the sacrifices of Montgomery County Iowa service people during the Second World War, and all citizens engaged in and affected by the conflict. 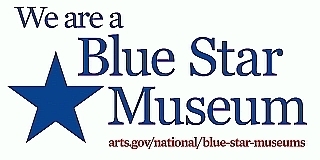 COLLECT, PRESERVE, & DISPLAY materials & artifacts pertaining to WWII. sailors, airmen, marines and merchant marines, and those serving on the home front, resulted in ultimate victory. Nobody has reviewed The Restored Burlington Northern Depot & World War II Memorial Museum yet, Be the first. You are submitting a booking enquiry. The Restored Burlington Northern Depot & World War II Memorial Museum will then contact you by email with details of availability and prices.